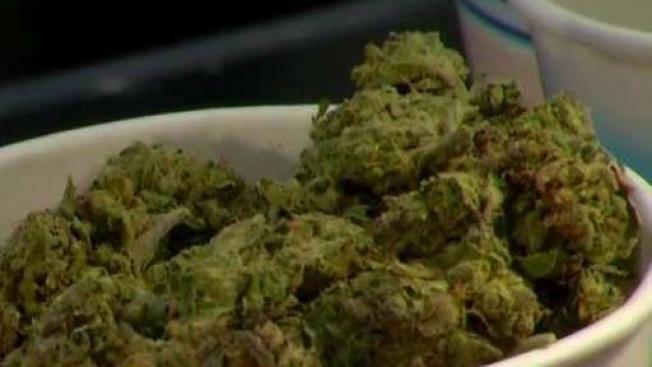 At midnight Monday, recreational marijuana becomes legal in California. But not everyone who uses marijuana is cheering it’s new legal status. Magnolia Wellness Center, a dispensary in Oakland, held a New Year’s Eve party to celebrate 2018 and the pot milestone it brought with it. While some say marijuana legalization will end the negative stigma around using pot, others say it could also price people out. Aaron Schleifer of Castro Valley toasted to a new era in California with a tonic infused with cannabis. He has been smoking pot for the past 30 years, but he’s worried about pot’s new legal status. "The number of regulations and taxes and controls are going to go up - a lot!" he said. "So it’s going to be a lot more expensive to buy. A lot more expensive for people to run a business." Magnolia's Katie Rabinowitz and others at Sunday's double celebration referred to the new marijuana law as the end of Prohibition. "The end goal has always been ending prohibition. And it’s been a long road," she said. It also marks the start to a complicated set of new rules and regulations. Rabinowitz said part of Sunday night's party was to help explain some of the changes coming. For example, there will be a 15 percent increase in the excise tax levied on all marijuana products sold. And the state has decreased the amount that is now considered a legal serving size. She argued that could hurt consumers. But she remains optimistic. "We are celebrating new territory," Rabinowitz said. "This is something we in California have never done before." Vendors at the party also see it as a positive step. Their issue is how the new laws can vary from city to city, which makes it hard to sell. Especially for mom-and-pop shops. "It makes it so that only the big cats are getting first, with the most money, the most lawyers, the most everything, which hurts the small guys," said Tiffany Conroy of Emerald Alchemy. Many vendors also fear the new legal economy could struggle if the black market continues to thrives in the face of regulations. And there could a backlash if people grow their own product at home to keep costs down. Right now, there about 90 retailers with a license to begin selling recreational marijuana. But people in San Francisco won’t be allowed to buy until Thursday.